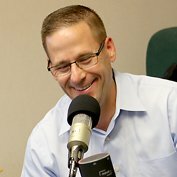 Matt Scherer joins Dave on this episode of unsuitable on Rea Radio to talk about business development techniques that are used in every industry. Listen now! Relationships are critical in business, regardless of your industry or what you offer your customers. Matt Scherer, president of PMA Practice Transitions, a dental practice sales and transition company, spent nearly 17 years with Bank of America before embarking on his new role in the dental industry. While these two careers may appear to be completely separate, they actually have a lot in common. For starters, to drive results in your own business, you have to know how to network, develop your business, and expand your referral relationships. On this episode of unsuitable, Matt talks about how he ended up in this new role and how his networking skills have helped him further his career. Your business relationships don’t pause when you leave the office, and most potential clients or partners are busy during the work day, so a lot of the most important networking and relationship-building you do will happen outside of work. Why you should focus on quality over quantity in your network. Who to target (and how to track them). If you liked this episode of unsuitable on Rea Radio, let us know by hitting the like button or by sharing it with your followers on social media. You can also use #ReaRadio to join the conversation on Facebook and Twitter, and you can watch the podcast in action on the Rea & Associates YouTube channel. We’ve also included access to additional resources on our webpage at www.reacpa.com. Tying Marketing to the Bottom Line – Let your creativity shine and build your brand through marketing tactics. Read on to learn more. Do You Know About Dial 2-1-1? – When you need a phone number or address, you can dial 2-1-1 for helpful services in your community with information and referral specialist are available 24 hours a day. Keep reading to find out more. Grow The Value of Your Business – As a business owner, your business’s fate is in your hands. You are responsible for taking control of your business in an effort to grow its value. Read on to find out how. Want Business Advice? Just Ask! – There are all types of challenges that you face as a business owner. Don’t be afraid to ask for business advice from those who have already journeyed the road you’re on. Read on to learn more.